The SABC says it is committed as the public broadcaster to remain independent and impartial in the lead-up to the May polls. This was after a Sunday newspaper report alleging the ANC was pressuring the public broadcaster to increase coverage of campaign events. On Friday, the governing party’s head of elections, Fikile Mbalula, met with news editors and group executives at Auckland Park in Johannesburg. However, the outcomes and discussion of that meeting have not been made public. The African National Congress (ANC) has noted with concern an article carried in the City Press alleging that the “ANC bullies SABC.” This reporting is alarmist at best and malicious at worst, with the sole intention of projecting the ANC in a negative light. 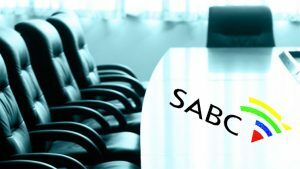 The meeting with the SABC on Friday, 1 March 2019, was requested as a one-on-one engagement with Ms Phathiswa Magopeni, the SABC’s Group Executive for news to discuss matters of mutual interest and the broadcaster’s approach to election coverage. However, the meeting turned out to include a number of other editorial personnel. The meeting was meant to be a platform where perspectives were shared, so we could appreciate the SABC’s plans in the run-up to the 2019 elections. We also believe the SABC’s perspective would be enriched by our experiences and views on the critical issues. The meeting became necessary following publication of the proclamation by President Cyril Ramaphosa, declaring 8 May 2019 as the voting day, and the publication of broadcast regulations by ICASA. This was meant to be a precursor to a broader meeting being arranged via the Group CEO of the SABC. Similar meetings are being arranged with other broadcasters. The ANC unequivocally denies that it made any demands or attempted to bully the SABC in any way. We are dismayed that a cordial meeting, where a healthy exchange of views and information took place, can be defined as bullying. We view this conduct of leaking a false narrative about a meeting with the public broadcaster as unethical and should be nipped in the bud. The ANC respects and actively supports the plurality of voices in the public discourse and media diversity, which are critical building blocks of an independent media. Independence of the media in general, and the public broadcaster in particular, should never be understood to mean ostracizing or marginalising the ANC and its leadership. We will continue to engage with the SABC without fear or favour, where we believe we have been treated unfairly. The ANC will continue to fight for space to make its voice heard like any other political party and will not be cowed into silence by people who want to use it as a scarecrow. The post SABC remains independent in lead-up to May polls appeared first on SABC News – Breaking news, special reports, world, business, sport coverage of all South African current events. Africa's news leader..